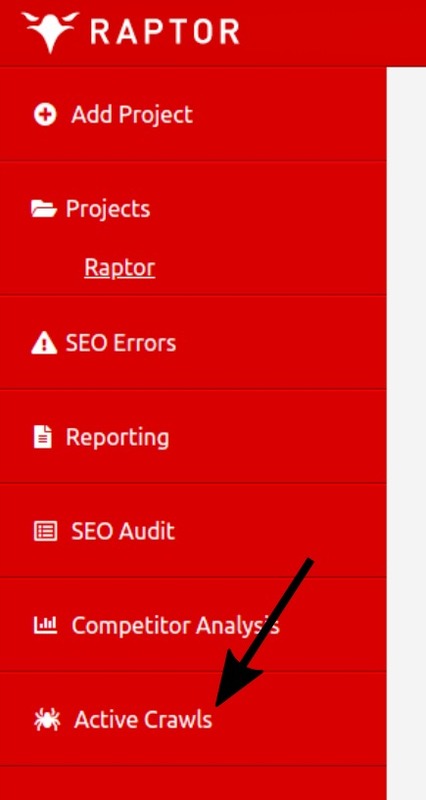 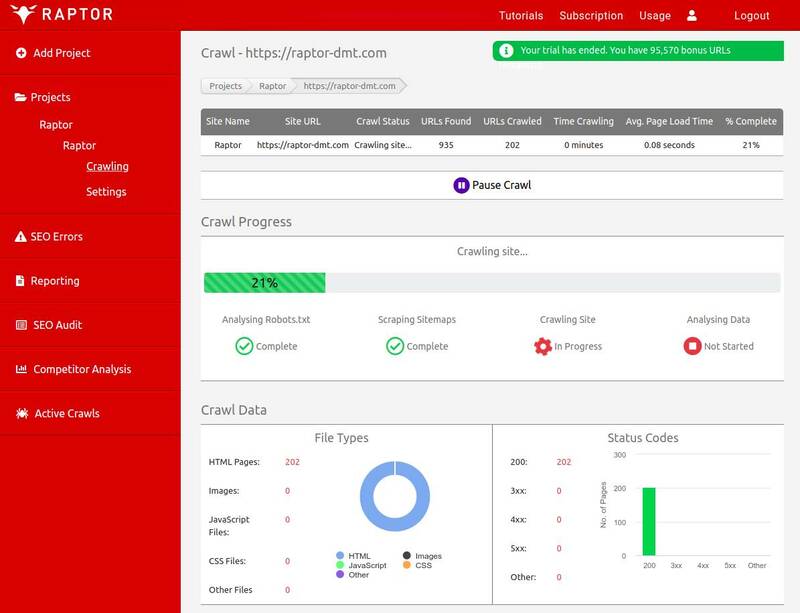 In this guide we explain how to crawl a site that you have previously added to Raptor’s web crawler within a project. 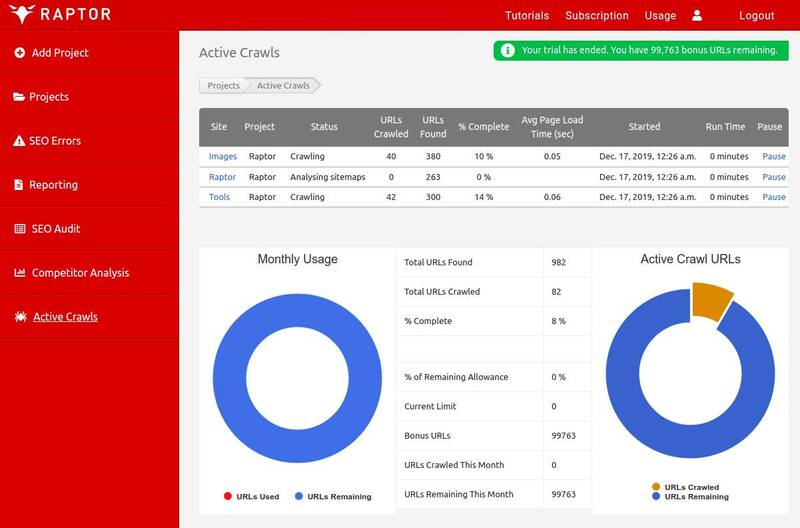 Our web crawler is very quick, but you can set-and-forget with our software for large projects. 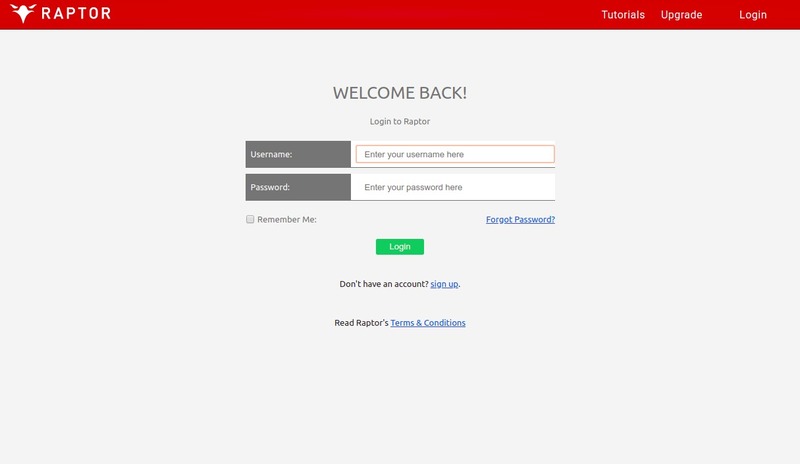 You don’t need to keep logged in to have crawls run. 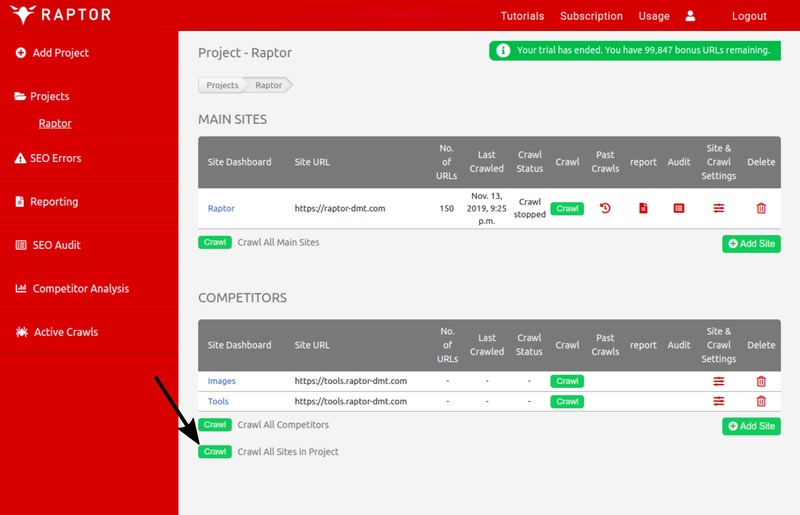 You will be taken to the following page where you can see the status of the crawl and some data about the types of content & response codes we are identifying.